A mind lively and at ease: Mama Masha's kitchen - How is it growing? Mama Masha's kitchen - How is it growing? While some areas are still shoveling away the last few bits of snow and bundling up against cold wind and rain, the general consensus in the northern hemisphere is that spring is here. And that means – spring planting. I know some of you will balk at the notion, “But I live in a really small apartment, I have no room for gardening.” Fear not – while you might not be able to start a full-fledged vegetable farm, some things for your table can be grown even in an apartment. Take a long hard look around your kitchen. How cluttered are your counters? Do you have a window? Do you have a window near a counter? Or does your window have a window sill? If all you see is an expanse of boxes, utensils, cereal bags and bottles, it is time to organize the mother of all kitchen cleanings. Do not undertake this alone – involve your friends, family members, children, whoever else you can find. The goal is to put the things you need out of sight, but where you can still find and reach them easily, get rid of things you don’t need and clear off a well-lit section of your kitchen counter – enough for a 12” x 24” box or 2-3 medium-size planters. Then get thee to your local plant nursery for some good potting soil and seedlings. Unless you are very good at growing things from seeds, I would recommend getting the actual plants, instead of seed packets. First of all, with seed packets, you will almost inevitably end up with too many seedlings, which will need to be thinned out and replanted to give them more space. Second, rearing a plant from a seed requires more effort and care. When your space is that limited, versatility is key. So, as you pick out things for your countertop garden, focus on plants that can be used in a variety of dishes. Rosemary is at the top of my herb list. It goes with everything: red meat, white meat, fish, cream sauces, tomato sauces, pasta, salads, and even desserts. Its leaves can be used fresh, dried, crushed, raw or sautéed with a bit of olive oil and garlic. Mixed into sour cream with a bit of onion salt it makes a wonderful easy dip. The same rosemary with sour cream plus espresso sugar or regular confectioner’s sugar and cocoa is fabulous with strawberries. Parsley is a lovely little herb. Not only is it great on salads, cold summer soups, and fish, it is also known for its ability to “wake up” other flavors. If you have some dried herbs that taste and smell a bit flat, mix them with a bit of dried parsley, and they will come back to life. My two favorite ways to use parsley are to pull each sprig into individual leaves and sprinkle into a plate of summer borshch or on top of some boiled potatoes – with a bit of sautéed onions and melted butter. If you only have enough room to plant three things, I would suggest completing your selection with chives, mint or lettuce. They each have their pros and cons, so it really depends on your personal preference. Mint is as versatile as rosemary and can be used in both savory and sweet dishes. It also has healing properties and makes a wonderful refreshing tea for settling sore tummies. The same tea is fantastic chilled on a hot summer day with a touch of sugar and lemon. Chives are for people who like onion flavor and smell, but not the onion itself. It is mostly for savory dishes and is particularly good to liven up the flavor of white meat and fish. 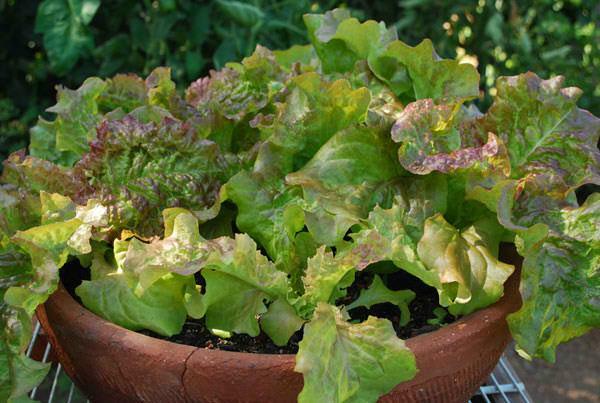 Quite a few nurseries and hardware stores are starting to offer small lettuce selections in medium-size pots. It’s a great idea for folks who want to eat fresh greens but have no place to grow them. The only problem is duration – at best, a container lettuce garden will last a couple of months. If this option appeals to you, consider “staggering” them – get one in March, then another one in April, then another one in May. Watch your little lettuce garden carefully and do not let any of the mature leaves to wilt. If you live in an apartment with a balcony or a patio, or in a small house with a bit of porch, your gardening possibilities expand dramatically, especially if you have some southern exposure and don’t have to limit yourself to just the shade-loving plants. To maximize space, consider the plant racks with 2-3 tiers or plant boxes of different heights. Start with the same basics we have discussed in the previous section: rosemary, parsley, chives, mint, and lettuce. If there is space left, add basil, container strawberries and cherry tomatoes. If your space allows you to put a big hook into the ceiling and suspend an upside-down tomato, that’s even better. So, now not only can you make delicious sour cream and herb dips and frostings – but you have something to dip into them as well. Cherry tomatoes with your own fresh lettuce, with a bit of olive oil, rosemary and balsamic vinegar – mmmmmm! 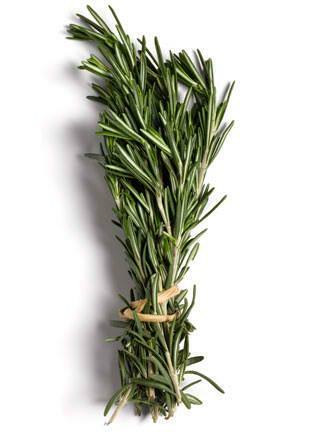 There is an added benefit to rosemary, basil and chives – they are all natural mosquito repellents. So, not only will you have fresh herbs, but you’ll be able to spend more time outside with a book and a glass of iced tea. As you arrange your plants, please pay attention to how sunlight falls and also where your planters end up with respect to the gutters. A clogged overflowing gutter can drown your delicate seedlings and break them in half. So, clean your gutters regularly and don’t put the planters right under them. It is not that there is no merit to using rainwater – of course there is. It’s free, it falls from the sky, it’s already there. 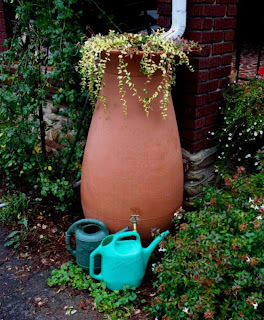 So, if you have room, get a rain barrel, detach the bottom portion of your rain spout and have your rain water fall in where you can store it. That way, when you hit a dry spell, you’ll have a stash of water right there on your patio, next to your plants. Rain barrels come in all shapes and sizes. There are some really fancy ones with a swift-disconnect faucet, a filter, an automatic overflow switch and a place to grow some flowers on top. And then there are some that are no more than just big plastic bins. Some folks make their own by retrofitting old casks and trash bins. Whatever you choose to do, storing and using rainwater is a good sustainable practice for your garden. That is, if you have a scrap of land to work with – even if it’s a small one. 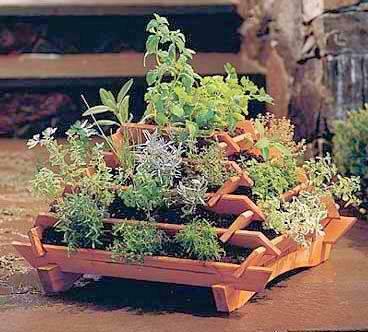 You can use the same practices as with your counter or porch garden, but with greater flexibility. In areas with poor soil, use your best judgment and put the more vulnerable plants into containers and the heartier ones – into the soil. That said, you can boost your soil quality by making your own compost and gradually fertilizing it. As with rain barrels, many places now sell compost bins, or you can make your own. You have to be able to open and close it easily as well as mix the content either by rolling/turning the bin or by digging in with a shovel. It’s a great way to get rid of kitchen scraps, certain kinds of paper (cardboard and newspaper, torn into small pieces, are eminently biodegradable), wine bottle corks, cat litter (if you use the kind made of pine and recycled newspaper). Yes, it is going to smell and look kind of yucky, but it is another good environmentally-friendly sustainability exercise, and your plants will thank you, when you boost them with a couple of shovel of nice fresh organic compost. When planting berries, read the labels carefully, or consult with people working at the plant nursery. Some of them (blueberries for example) need partners from a different sub-species to cross-pollinate. Mind the distance – plant them for the size they will be, not the size they are now. The nice part about having some room to work with is that you can now have a combination of plants that are edible and plants that are pretty. …Or both! 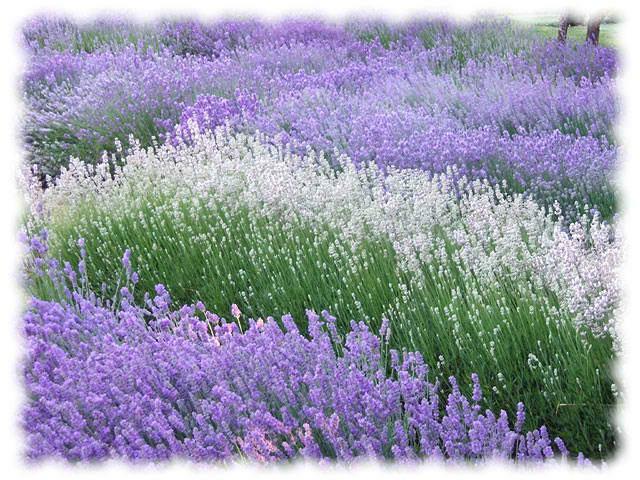 Mint, rosemary and lavender are all edible and all produce lovely blooms. Planted into the soil and with a bit of compost, they’ll spread like weeds (I have a friend, whose rosemary plant qualifies as a tree at this point), and create a beautiful fragrant flower display every year. Plant roses! Delicate and lady-like, roses are nevertheless some of the toughest plants out there. If you live in the mountains, as I do, climbing roses are fantastic for covering up the unsightly beams and supports that are so typical for slope-constructed houses and for strengthening the soil with their strong far-reaching roots. “But won’t that attract bees?” you might ask? Yes, it will. But, first of all, it will attract butterflies as well, and both bees and butterflies are essential for pollination. 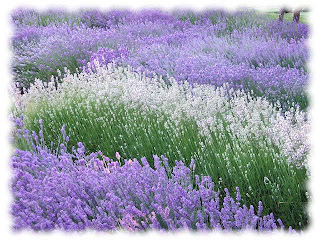 Second, if the bees are busy hovering over your lavender blossoms and your rose bushes, it means they are not busy hovering over your head and making you nervous about their stings. Remember, the bigger is your garden, the more it turns into a habitat, an eco system. …Which means, it will become populated with living creatures. Read up on how to attract the right birds, animals and insects to keep your garden healthy. Not all of your wildlife will be cute-looking or pretty. But that doesn’t mean that it shouldn’t belong. Put up a bat house on the side of your home with some fruit bait – and you’ll have someone to eat bugs and mosquitos. Same goes for frogs, if you have a small creek nearby. They are not pretty – but they are awesome bug hunters. Put up bird baths and bird feeders. Plant things that attract hummingbirds and butterflies. Mind you, I do not advocate making your yard look like a chintzy garden décor store – not at all. It’s all about giving the existing species a little nudge to hang out around your garden and help you make things grow. The last but not the least, having your own natural habitat is also a fantastic way to teach children in your life about nature and about growing things. Kids should not grow up thinking that bread grows on grocery store shelves and tomatoes magically spring up in the produce department. It is a great exercise in discipline and responsibility. When I was little, I used to love it when I was entrusted with some sort of growing thing to look after – be it a house plant or a small strawberry patch. Are your kids asking for a puppy or a kitten? Give the a plant to take care of first, “Prove to me that you can take care of a living thing on a regular basis and keep it alive and healthy. Then we can talk about the next step, like an animal.” Before dinner, hand your kids kitchen shears and send them off to pick some rosemary or some basil. Teach them to dry, crush or chop the herbs and veggies. Every meal will become that much more enjoyable, because they’ll know they’ve contributed to it. Happy gardening and cooking , everyone!